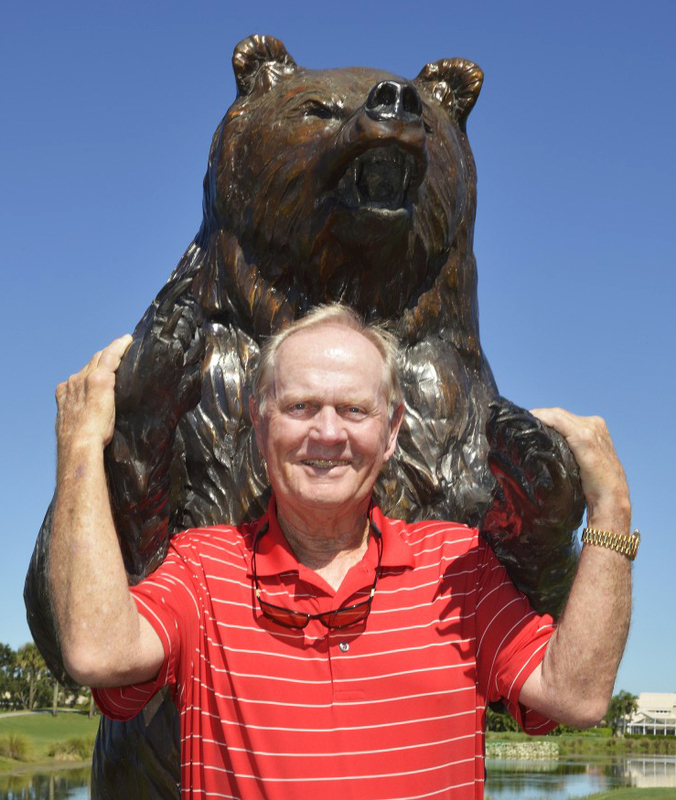 PGA National Resort & Spa’s acclaimed Champion Course—the Jack Nicklaus-redesigned host of the PGA Tour’s Honda Classic and home of the famous “Bear Trap”—has reopened after a major re-grassing with cutting-edge Celebration Bermuda, and a renovation/redesign of the 14th hole. The changes were unveiled in October at a ribbon cutting, which featured the Golden Bear, officials from the resort and community, and local and national media. As part of the renovation to the 14th hole, which prefaces the stretch of Holes 15-16-17 known as the “Bear Trap,” Nicklaus moved the green 17 yards to the right, bringing water into play on the approach shot. The tee also was moved back 10 yards, and bunkers were built in front and behind the green, to further strengthen the 465-yard hole. Celebration Bermuda grass is now on fairways, green surrounds and tees of The Champion Course, making the popular layout even more eye-catching and playable. The new turf will resonate with the world’s best golfers who annually play in The Honda Classic—one of the top events in professional golf—as well as the thousands of resort guests who play the course. With the new turf, The Champion Course will no longer require over-seeding during the off-season, allowing for faster, firmer conditions golfers enjoy. “We can all use an extra 20 yards of roll,” says Harvey. Four of The Champion’s greens—Nos. 1, 9, 15 and 17—have been expanded to their original size, creating more exciting pin locations for the event that annually kicks off the PGA Tour’s Florida Swing. The greens remain TifEagle, one of the world’s truest putting surfaces. To accommodate the large crowds that aid in raising millions for the Nicklaus Children’s Health Care Foundation every year (The Honda Classic set another attendance record this spring with more than 190,000 fans flocking to PGA National), 20,000 square feet of spectator mounding has been added to the 14th hole, giving fans a bird’s-eye view of the 14th green, the 15th tee and the 15th green. The teeing area on the 15th was also expanded to the right. “The revered Champion Course is a major component of our puzzle when it comes to creating championship experiences and makes us a world-class golf resort and lifestyle community,” said Joel Paige, Vice President and Managing Director of PGA National Resort & Spa. Played as a par 70 and at 7,140 yards for tournaments, The Champion has ranked as the most-difficult course on the PGA Tour (for non-majors) three of the last five years. It ranked second overall in 2010 and 2011. The Champion Course and The Honda Classic have hosted world-class winners, including World No. 1 Rory McIlroy, who held off Tiger Woods in 2012 when Woods charged the field with a final-round 62. Hall-of-Famer and local resident Ernie Els won The Honda Classic in 2008. Y.E. Yang, the 2009 winner, went on to claim the PGA Championship that summer, becoming the only golfer to chase down Woods in the final round of a major. For resort guests, it plays to a par 72, with the 7,045-yard layout featuring generous landing areas and spacious greens. Though a challenging course, five sets of tees provide playability for players of all skill levels. In addition to hosting The Honda Classic since 2007, The Champion Course has hosted the 1983 Ryder Cup, 1987 PGA Championship, 18 Senior PGA Championships, and this year’s final stage of the Web.com Q-school, being played December 11–16. For more PGA National Resort & Spa information: pgaresort.com or call 561-627-2000.